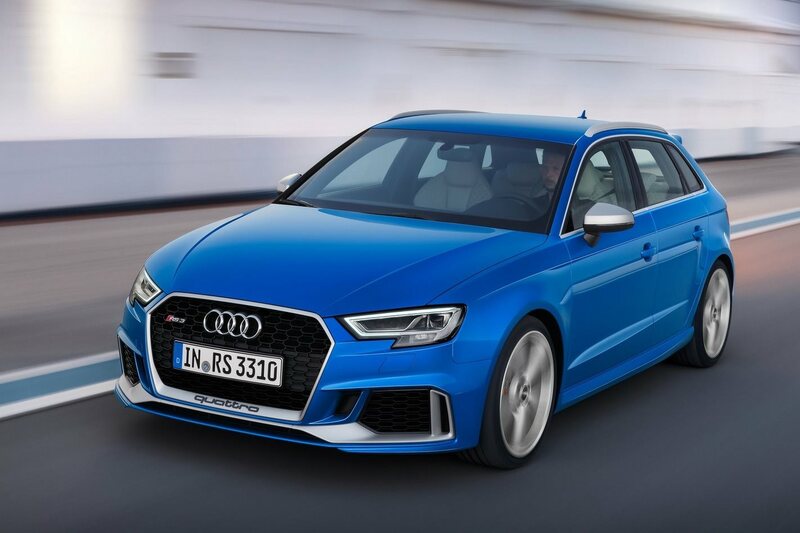 THE Audi RS3 Sportback has now joined its sedan sibling in Australia, bringing slightly sharper pricing for the same highly strung level of pocket rocket poke as the booted version. Both the hatch and sedan make 294kW and 480Nm from their shared 2.5-litre five-cylinder turbo engine, sending power to all four wheels via a seven-speed dual-clutch transmission. With the first examples of the hatch now arriving in Australia, Audi has set an $80,900 price of membership for the RS3 Sportback club, a $4000 saving on the sedan version. Both variants will sprint from rest to 100km/h in 4.1sec, and come with an RS sports exhaust as standard. Eight-piston calipers up front take care of hauling the RS3 back to a standstill, grabbing 370mm ventilated rotors, with 310mm discs at the rear. 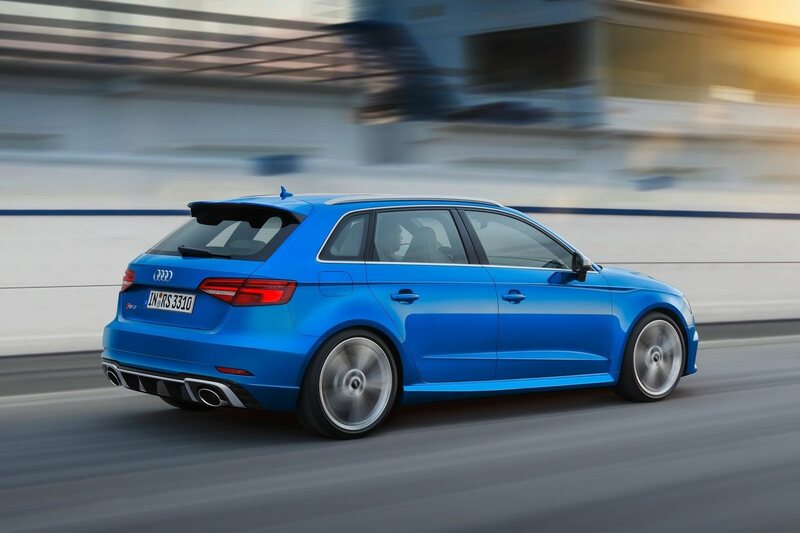 The RS3 Sportback sits on 19-inch alloys wrapped in low-profile 235/35 tyres. The iconic five-pot engine has the same 2480cc capacity as the one it replaces in the old RS-badged Sportback, but sheds 26kg mainly via an aluminium crank case. In terms of its added poke, dual injection, refined valves and a higher-pressure turbocharger lift performance by 24kW. A number of optional packs are available for the RS3, including a $5900 RS Performance package that includes adaptive dampers, a 705-watt, 14-speaker Bang and Olufsen audio system, carbonfibre interior inlays, and a choice of four wheel designs. A range of driver-assist safety features are standard, including active lane assist, adaptive cruise control and rear cross traffic alert. The RS3 also has Audi’s virtual cockpit system as standard, as are LED headlights, a 10-speaker 180-watt sound system with digital radio, a Wi-Fi hot-spot, front and rear parking sensors linked to a reversing camera, and a tyre pressure monitor. The sedan has been available in Australia since June, but the Sportback version of the RS3 has only just arrived. It’s a meaningless metric, but for a bit of fun we’ve compared the RS3 Sportback with its arch-nemesis, the Mercedes-AMG A45, on a price-per-kilowatt basis. It’s the slightest win to the Audi: it costs $275 for each kilowatt, while the Merc will set you back $280 a kilowatt.